In order to improve the intergranular corrosion resistance of 304 stainless steel, laser surface remelting experiments were conducted using a 2 kW continuous wave Nd: YAG laser. The grain boundary character distribution (GBCD) and microstructures of the materials were analyzed using EBSD, SEM and OM. 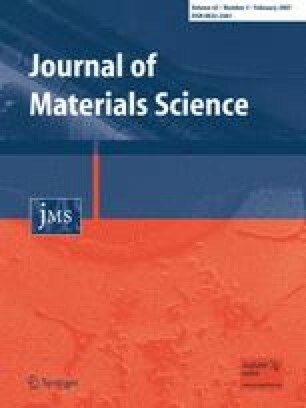 The experimental results showed that combination of laser surface melting and annealing on 304 stainless steel resulted in a high frequency of twin boundaries and consequent discontinuity of random boundary network in the materials, which led to an improvement of resistance to intergranular corrosion. The maximum CSL density could reach 88.6% under optimal processing conditions: 1220 K and 28 h.
One of the authors (S. Yang) is grateful to Japan Society for the Promotion of Science for offering a JSPS fellowship. The authors would like to express their gratitude to Dr. Y. S. Kang, Mr. A. Honda and Mr. Isago for their technical support. The partial support of this work Program for New Century Excellent Talents in University from Ministry of Education of China and Science Foundation of IMUT are also acknowledged.